Much has been written and testimony given about how China steals state secrets. It steals by all means available in what is termed, industrial espionage. The Justice Department has prosecuted numerous Chinese spies and other operatives in the agriculture, banking, military and telecommunications industries. Several government agencies, including the Justice Department and the Pentagon, have declared that ZTE and Huawei products are forbidden. Now we learn that it is limited to just the traditional business world. The two senators have written letters to universities in their respective states asking them to terminate the Institute. Some have while others are taking it under consideration. Yet, while universities are getting attention and rightly so, the other component that is ignored so far are the classrooms of K-12. These are known as Confucius Classrooms. Get our children while they are young, right? The Confucius Institute at the University of Minnesota is proud to have fourteen affiliated Confucius Classrooms, featuring top-ranked public and independent schools in the state of Minnesota, innovative early total Mandarin immersion programs, and a language village that offers rich extra-curricular activities for language learners. 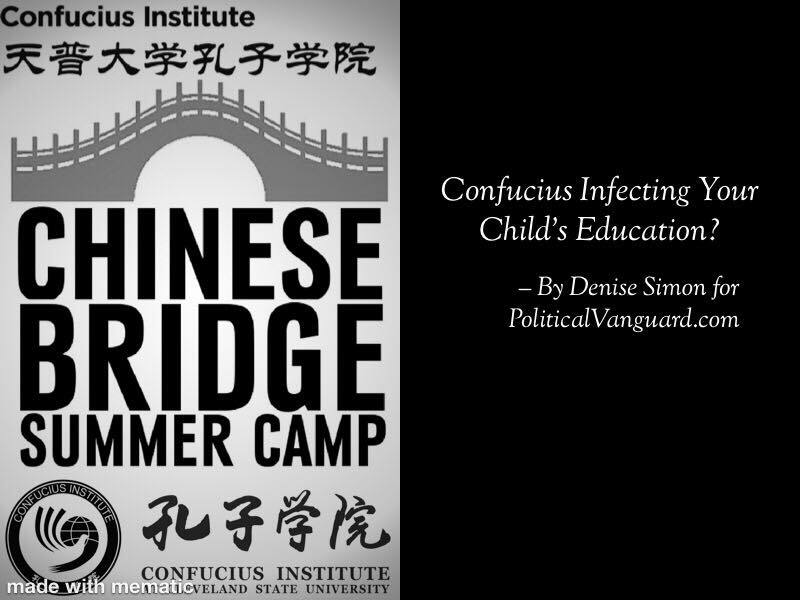 As a backbone of the K-12 Chinese language program of Minnesota, the Confucius Classrooms organize and participate in a variety of programming including summer camps in China, Chinese language proficiency testing, and celebrations of various Chinese festivals. Students of Confucius Classrooms have won awards like the Confucius Institute Cup International Composition Competition and have demonstrated their understanding of Chinese language and culture through continued excellence. Another chilling notion is the fact that an estimated 350,000 Chinese students are enrolled at American universities. The FBI Director, Christopher Wrayhas warned that some high number of those students are in fact ‘non-traditional’ collectors or intelligence and technology in academia and in all business sectors that are integrated with each other. As a parent or as an adult student, it is prudent to ask some harder questions and investigate on your own to understand the implications and consequences.